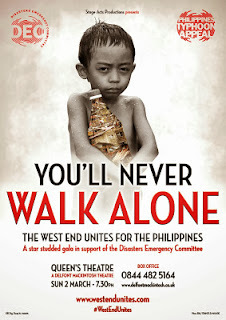 Award-winning TV personality, fashion guru and author Gok Wan will host the special one-night-only concert You’ll Never Walk Alone at the Queen’s Theatre on Sunday 2nd March 2014 at 7.30pm in aid of the Philippines Typhoon Appeal. Tickets are now on sale from £32.50, with all proceeds going directly to the Disasters Emergency Committee. 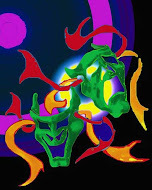 It is being produced by Paul Spicer and Matt Firth for Stage Acts Productions with the support of Delfont Mackintosh Theatres and brings together 14 of the UK’s leading aid charities to raise money in order to quickly reach those in need. The money raised will contribute to the ongoing need for emergency shelter, clean water and food as well as helping survivors rebuild their lives. Casting so far includes: Julie Atherton (Avenue Q, The Last 5 Years), two time Olivier Award winner Joanna Riding (Stephen Ward, The Pyjama Game), three time Olivier Award nominee Hannah Waddingham (Kiss me Kate, Spamalot), Filipino born Joseph Apostol, soon to play John in Cameron Mackintosh's revival of Miss Saigon, Hugh Maynard (Jesus Christ Superstar, The Lion King), Olivier Award nominee Michael Xavier (The Sound of Music, The Pyjama Game) and Filipino born classical pianist Emmanuel Vass. More names have just been added including Danielle Hope (Over The Rainbow), Pasha and Katya (Strictly Come Dancing), Cynthia Erivo (The Colour Purple, I Can't Sing!) Cassidy Janson (Lend Me a Tenor, Candide) and Francine Lewis (ITV’s Britain’s Got Talent). Avenue Q original London cast members Jon Robyns (Les, Miserables, Spamalot), Simon Lipkin (Rock of Ages, I Can't Sing! ), Julie Atherton (The Last Five Years, Sister Act) and Giles Terera (The Book of Mormon) will also be sharing the stage with the likes of Princeton and Kate Monster for a special reunion performance.